Jim Manjooran runs an architecture practice based in his home state of Goa, where he strives to incorporate regional and local characteristics into modern designs. He is a 1994 graduate of the School of Architecture at the Arvindbhai Patel Institute of Environmental Design in Vallabh Vidyanagar, Gujarat. My “tryst” with chai was realized 25 years ago during my architecture school days in Vallabh Vidyanagar, a campus town in Gujarat. Jim and his classmates juggle cups of chai and blueprints. The study course of architecture is one of the most trying professional studies, next only to medicine, with incessant all-nighters, hunched over drawing boards, buried deep into tracing papers, surrounded by lead pencils, inking pens, scales and the like, for each and every of the five years that the course required – a pressure cooker situation that could only be alleviated by a very short list of methods perfected by those who had already gone through the rigor of architecture school. A break for a cup or two of chai, freshly brewed by the overfriendly neighborhood chai wallah in company of good friends, in the outdoors, was right on top of this precious list. A favorite outdoor spot to sip cups of chai. “Chai ho jai!” was the most welcoming of shout-outs to everyone to gather for a round of tea. Those words were magical, breathing life into tired bodies and minds – and suddenly life was beautiful! These chai breaks of our growing up time in architecture school fostered a unity akin to a kind of chai brotherhood, cutting across different cultures, uniting North Indians with South Indians, breaking down barriers between seniors and juniors, even between professors and students, between the chai wallah and the chai pine wallah (chai drinker), uniting everyone in their shared enthusiasm, pursuit and enjoyment of this good brew. One of the gang’s favorite chai shops. 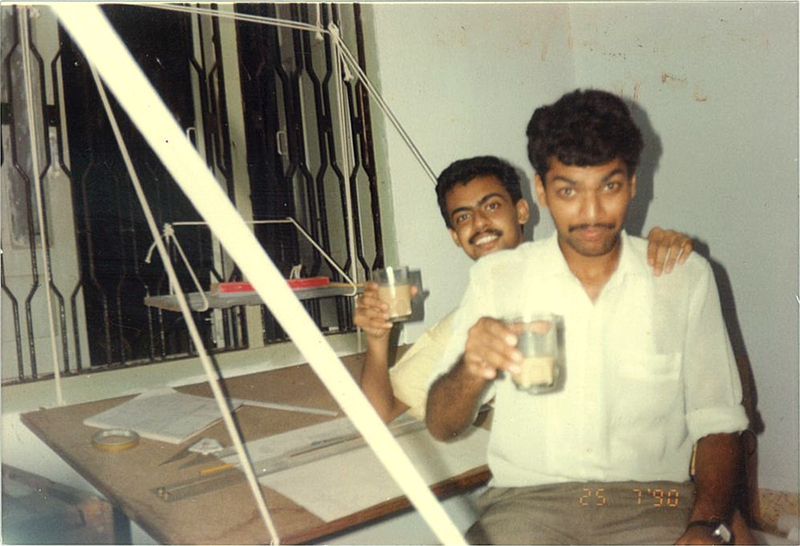 During those strenuous times in the school of architecture, chai sipping was the one of the better habits that we cultivated among scores of others about which the less said, the better! 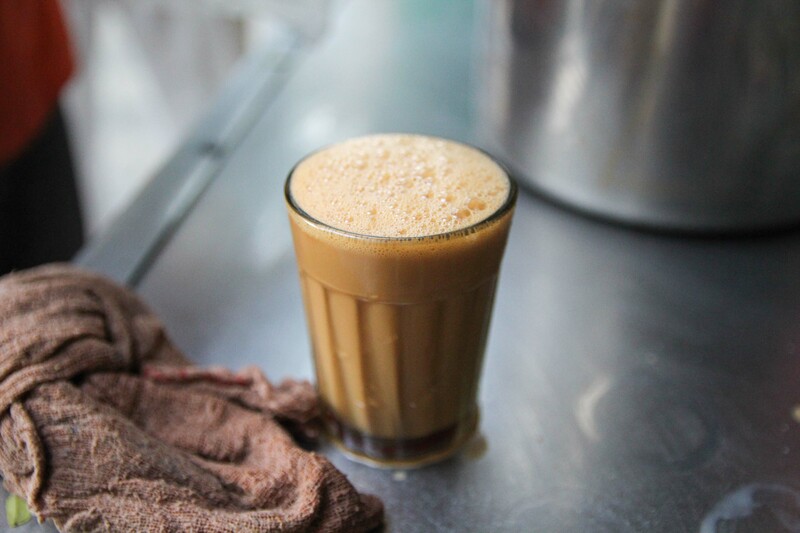 It’s now been 25 years since those glory days, and circumstances have changed, but this desirable chai fixation continues to flourish. The pressures of architecture school are now replaced by the pulls and pushes of a busy private architectural practice, but the essence of a round of chai remains the same: a lifter of moods and the ultimate unifier. Jim and a friend take a chai break during one of their many all-nighters. Jenny Kostecki-Shaw and Patrick Shaw (a.k.a. 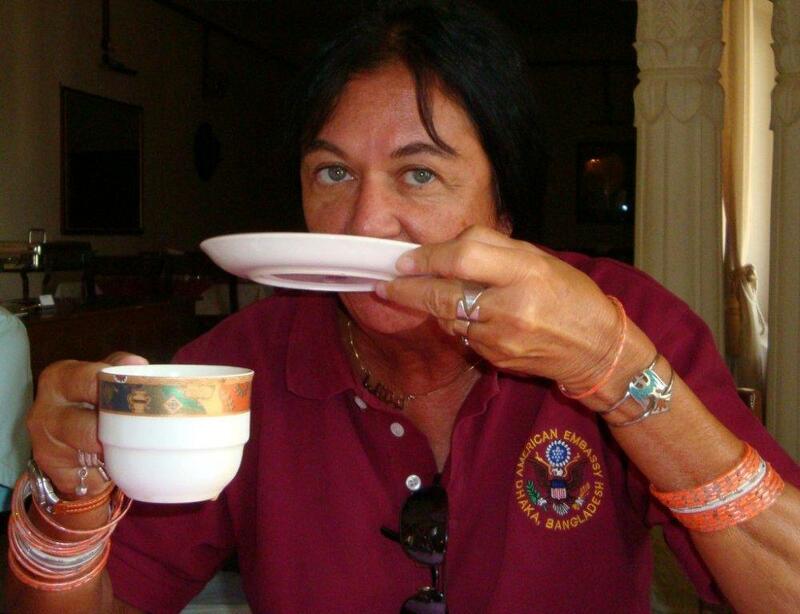 The Masala Chai Wallah) share a love for good chai, Indian culture and each other. Jenny is a freelance illustrator and national award-winning children’s book author and illustrator. Patrick teaches Ayurveda, Ayurvedic cooking and Ayurvedic herbology at the University of New Mexico in Taos and has been making homemade masala chai for over 20 years. They recently published an illustrated book, Chai Pilgrimage, which you can order at chaipilgrimage.com. 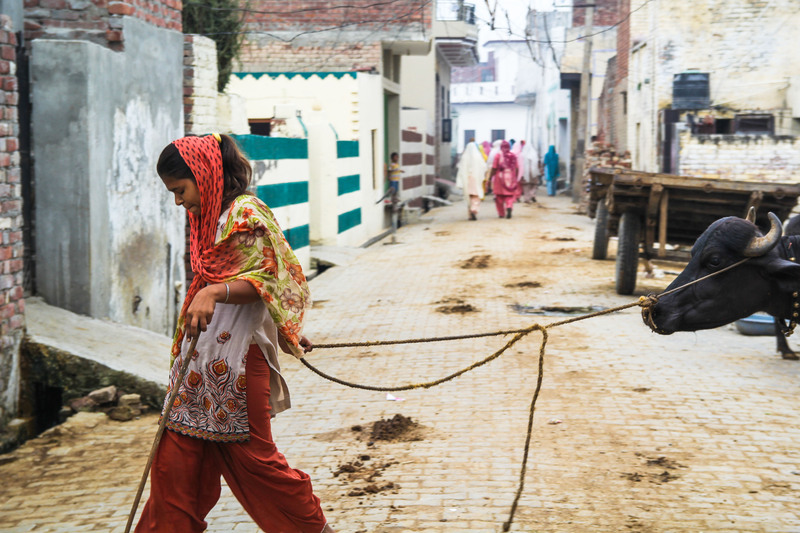 Inspired by their love of chai, Patrick Shaw and Jenny Kostecki-Shaw embarked on a pilgrimage around North India to collect recipes, learn about ayurvedic traditions, and find out the secret behind what makes a good cup of chai. 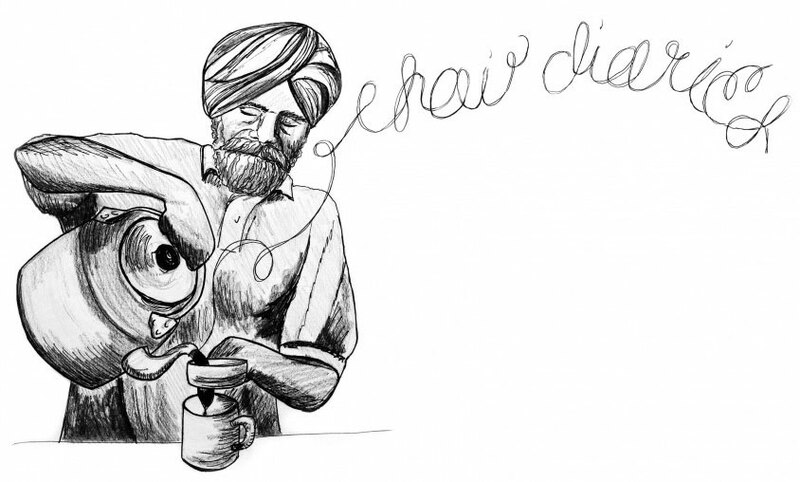 They recently published their story in a beautifully illustrated book, Chai Pilgrimage. 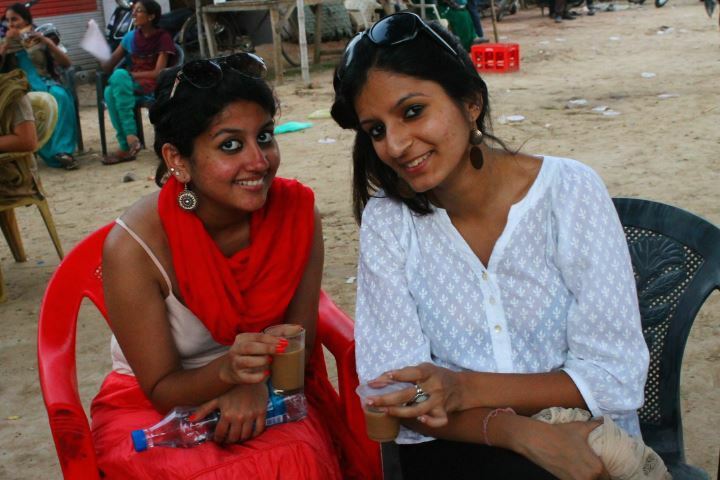 Their journey led them to Pappu’s chai stall in the sacred city of Varanasi. Amid the traffic of rickshaws, motor scooters, market-goers and a small herd of water buffalo being led down the road, we discovered the popular Pappu chai stall. Early in the day, it is a gathering place for elder intellectual types who read the newspaper, debate political issues and get their morning dose. After hours, it becomes a quiet hangout for bhang (edible marijuana) users. 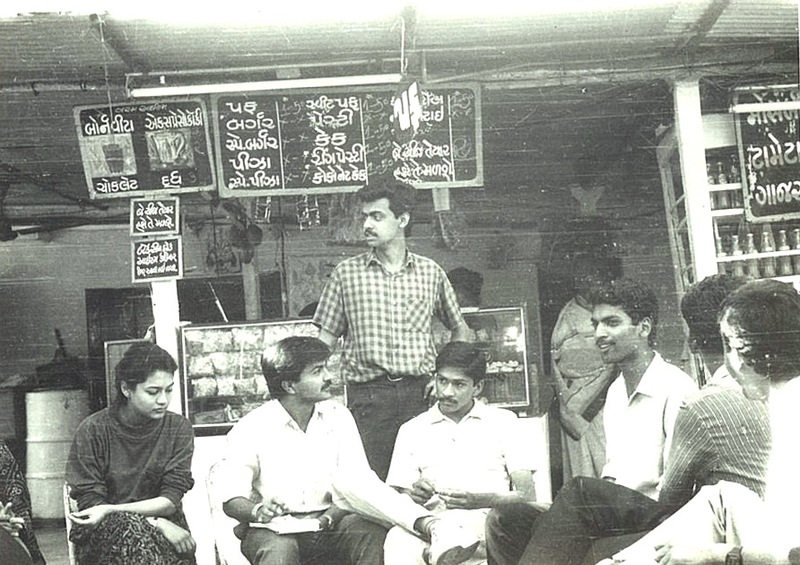 Locals told us the chai stand had been there for 80 or 100 years. We sat down outside on a low concrete wall next to Ashu, a regular customer and owner of Shiva Rooftop Restaurant down the street. 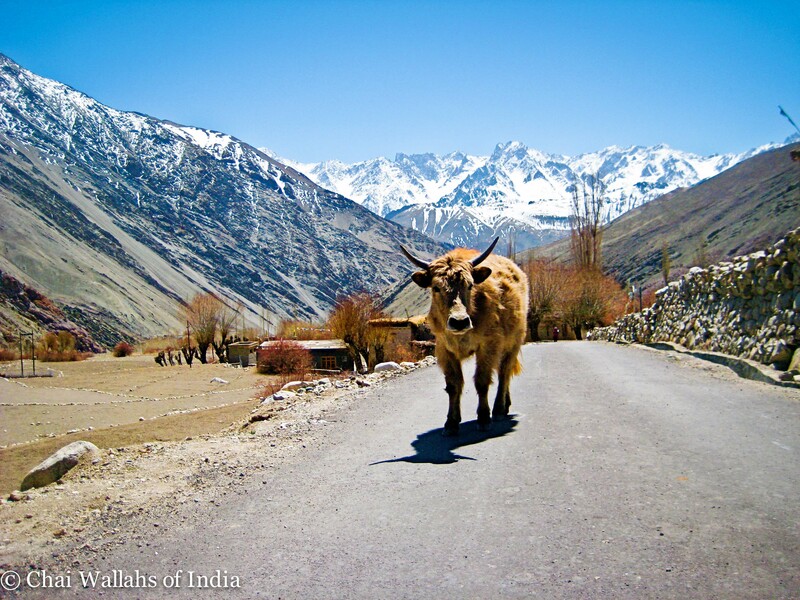 Over the noise of horns and bicycle bells, we asked him what made Pappu chai so special. 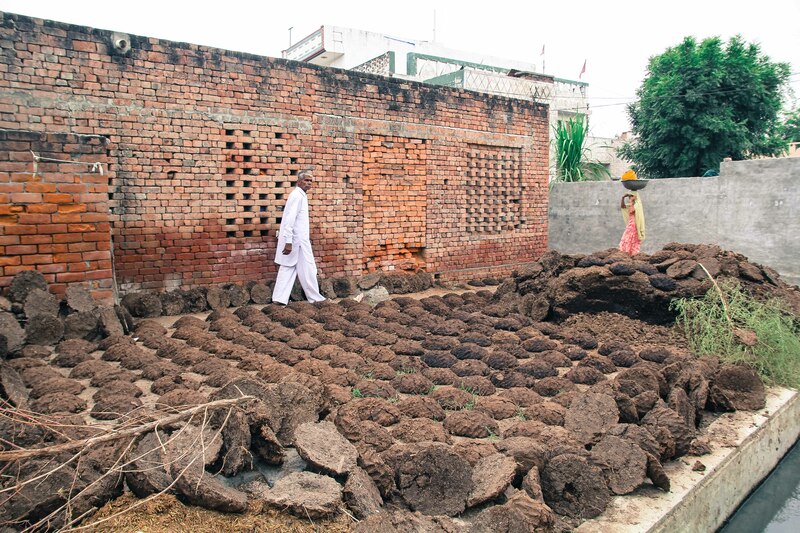 “Because it is hygienic,” he told us. “They clean the gilaas [Hindi for glass] every time by the hot water. It is unique way. You will never see like this one.” It was true. In all our time in India, we had never witnessed soap or hot water being used to clean glasses or any chai-making implement. We observed as a young boy first rinsed the glasses in reused cold water like other chai stalls, then gave them a thorough cleansing with hot water that was boiled on an open coal fire. The health of chai drinkers across India would surely benefit from this trademark disinfecting procedure. Manoj operated his chai stall with great precision and speed. 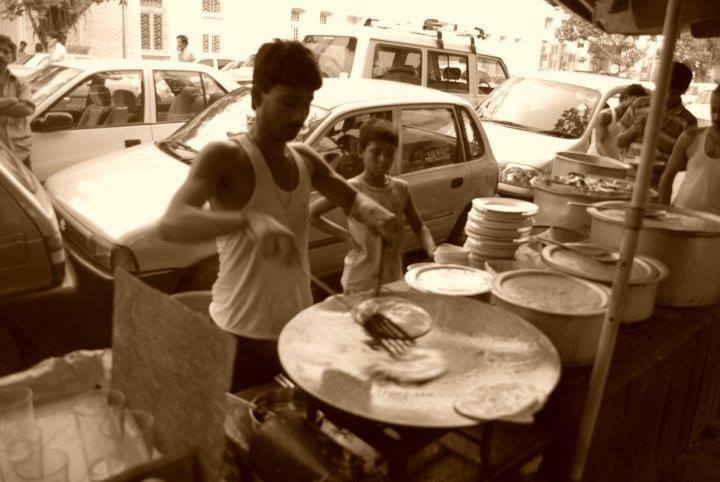 A third-generation chai wallah, he employed an unconventional chai-making technique handed down from his grandfather. 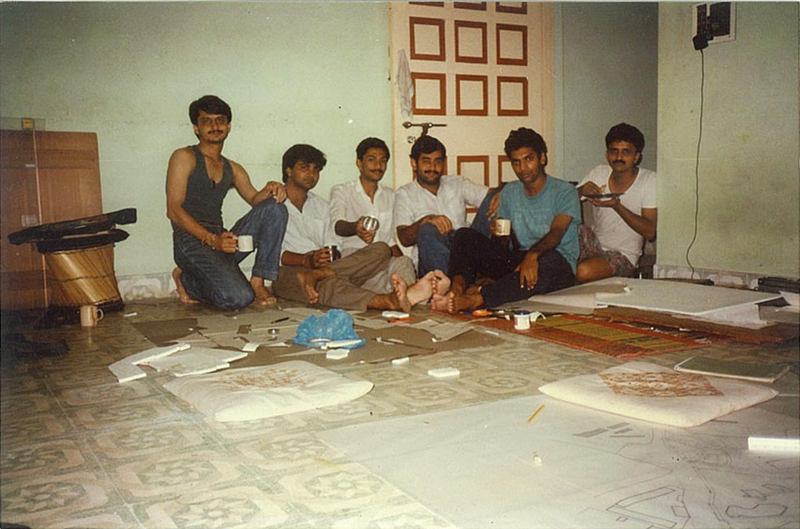 Instead of making a pot of chai, each glass was prepared individually in assembly-line fashion. First, he carefully calculated the number of glasses to be made by a count of seated customers, expected regulars and estimated drop-ins. The glasses were grouped together into three parallel rows, and a spoonful of sugar was put in the bottom of each glass. 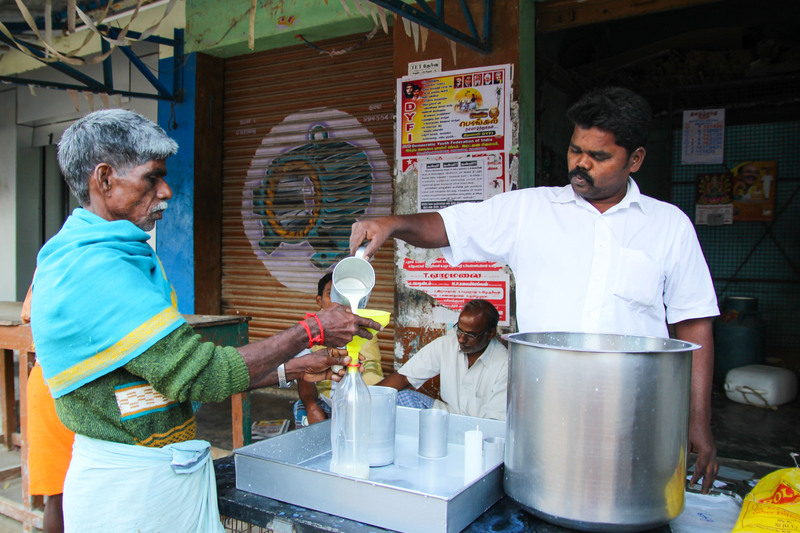 Manoj ladled hot milk on top of the sugar, then measured the tea by hand into a tea “sock,” with tea carefully added or taken out to suit the number of glasses being made. Boiling water was then slowly poured over the tea until it was fully saturated and the tea water started to come through. When the flowing tea had a rich, dark-brown color, it was quickly passed over the glasses with one hand while hot water was poured from the kettle with the other hand. He first moved the filtered tea lengthwise over the line of glasses, then back and forth. A little more tea was added, then again across the glasses. 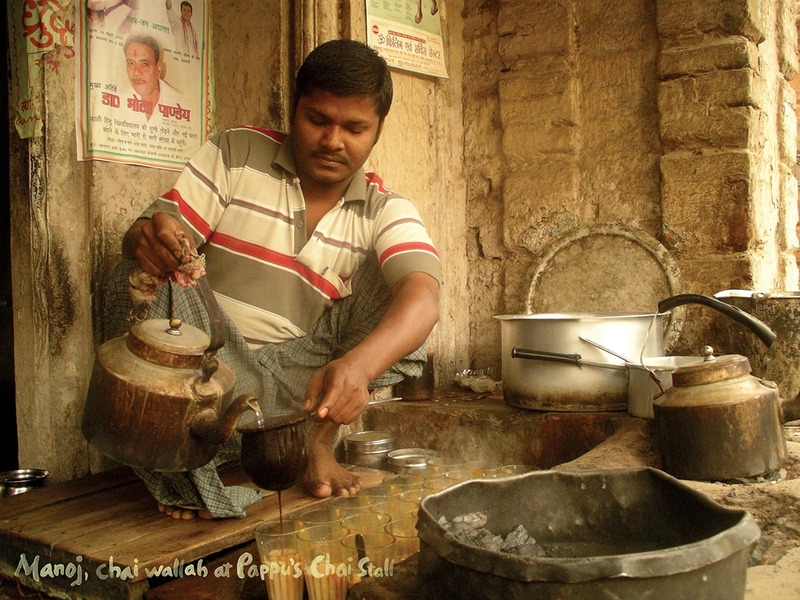 Unlike other stalls, the chai at Pappu’s is made from “new tea every time — not boiling again and again,” Ashu told us. Finally, Manoj stirred each glass vigorously, with the rhythm and calm fervor of a classical Indian drummer. The “clink-clanking” of the metal spoon against glass was like a dinner bell to the customers. 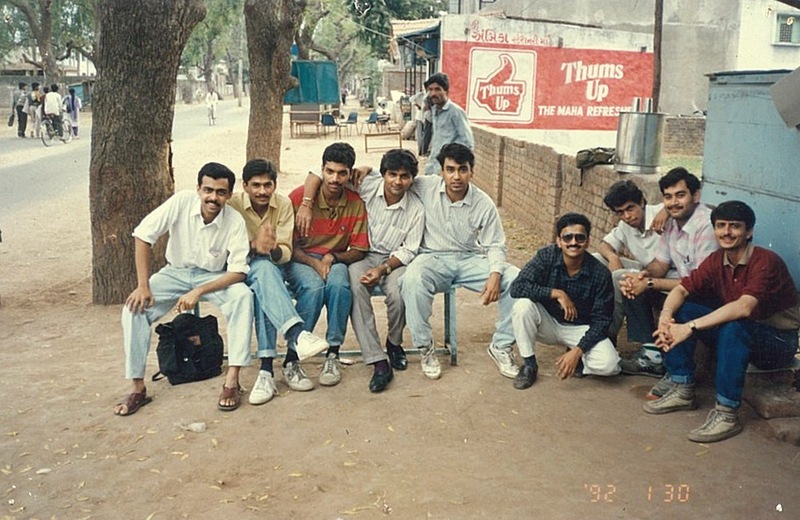 In the madness of anxious hands grabbing for their glasses of chai, Manoj handed us ours. It was dark, bold and on the edge of being too bitter. I liked it. Even though the tea was not steeped or boiled like most, it bore a distinctive strong tea flavor that provided quite a wake-up. 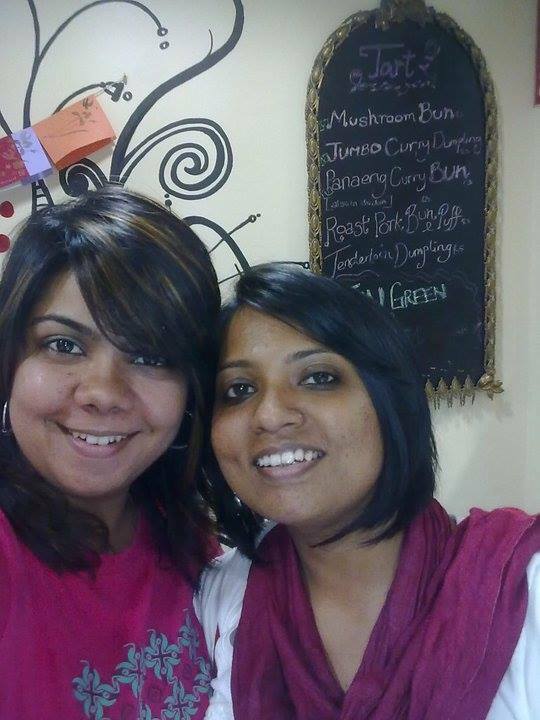 We attempted to give Manoj four rupees for our chais, but he just shook his head and smiled. Jenny Kostecki-Shaw and Patrick Shaw enjoying chai in kulhars, traditional clay cups popular in Varanasi. After serving as a Peace Corps volunteer in Maharashtra, Tondalaya began a 37-year career in international development, working in the Pacific, Asia, Africa and Europe. Her husband Ron was a Peace Corps volunteer in West Bengal and they married in Delhi in a ceremony that blended Christian, Hindu and Sikh traditions. The couple currently resides in Hawaii but makes frequent trips to the Indian subcontinent with a visit to Bangladesh planned for the fall. Tondalaya sips chai in Orchha, Madhya Pradesh. 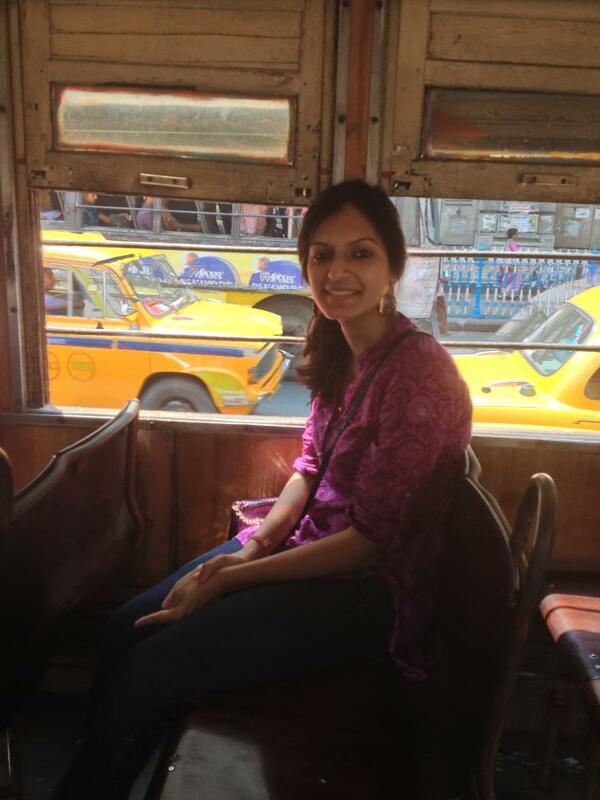 I was a Peace Corps Volunteer (PCV) in India. I also returned for my marriage to a former PCV who was directing a PCV training program at Punjab Agricultural University in Ludhiana, Punjab. I accompanied him on a week’s programing tour along with his language instructor. We made one of our many tea stops at this little roadside makeshift spot which consisted of no more than three charpoys (rope beds) and some rocks piked up to hold the fire to boil the tea. There were a few men squatting around drinking chai and an old old chap sleeping on one of the charpoys. He was snoring away, but undoubtedly heard English being spoken. He rose up, looked at us, and in a loud voice wanted to know why we killed Kennedy, rolled over and went back to snoring! 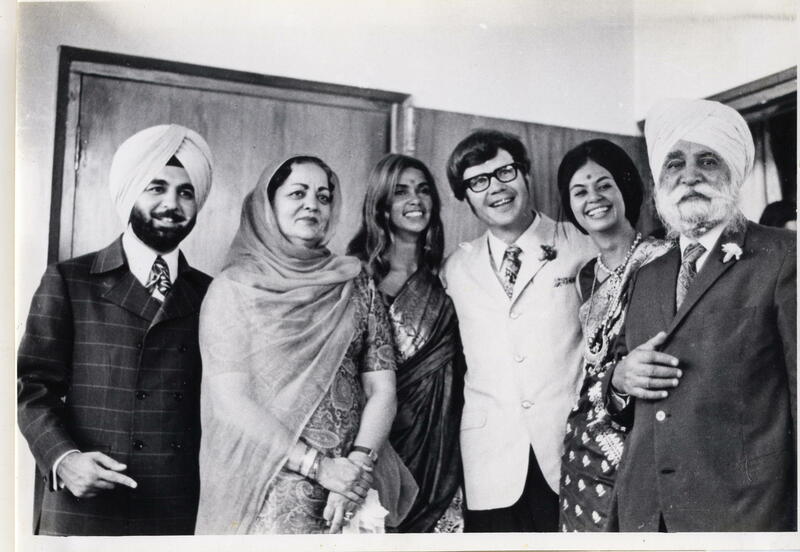 Tondalaya and Ron’s wedding in Delhi, 1971. Since returning from his time as a Peace Corps volunteer in Nepal, Gary has devoted his career to improving the lives of others, working in state government health care and social services. He has returned to South Asia several times, worked with Bhutanese refugees in Massachusetts, and currently volunteers at an English tutoring program for immigrants in Boston. Gary Shostak fondly remembers tasty moments from his time as a Peace Corps volunteer near the India-Nepal border. From 1967 to 1969 I lived in a small village about two hours walk east of Birganj, Nepal along the border with Bihar. Every two or three weeks I would leave my village of Jotpur at first light to walk to Birganj for mail and to see other Peace Corps volunteers. 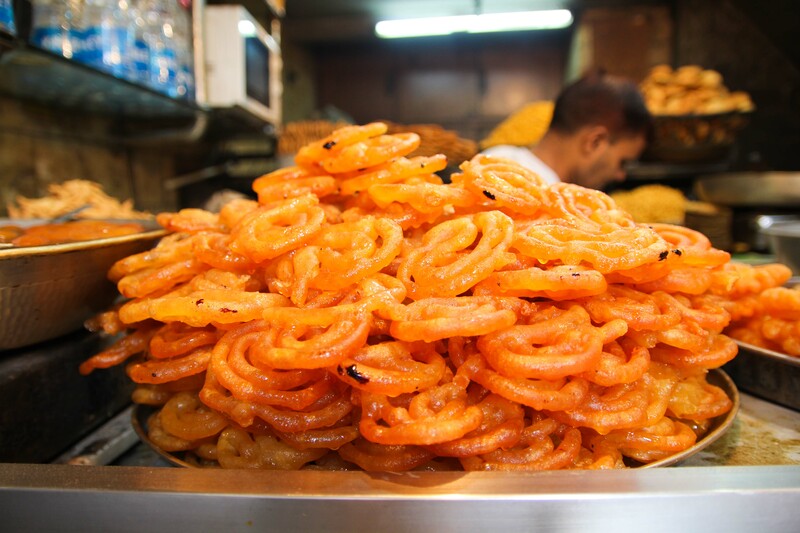 I had a favorite chai wallah who also served freshly made jalebis along with really excellent dahi. His roadside shop was always my first stop as I got to Birganj. 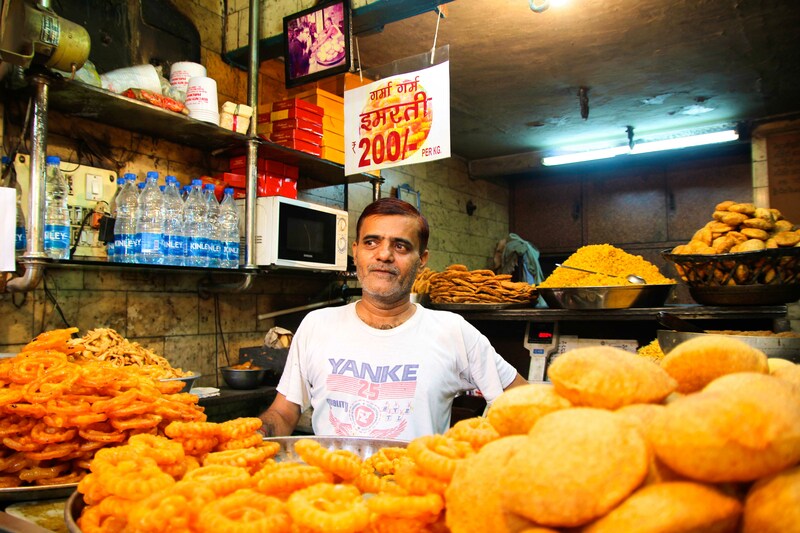 I shall always remember savoring the sweet and sour combination of dahi and jalebis taken with milky tea while chatting with the chai wallah and his regular customers.